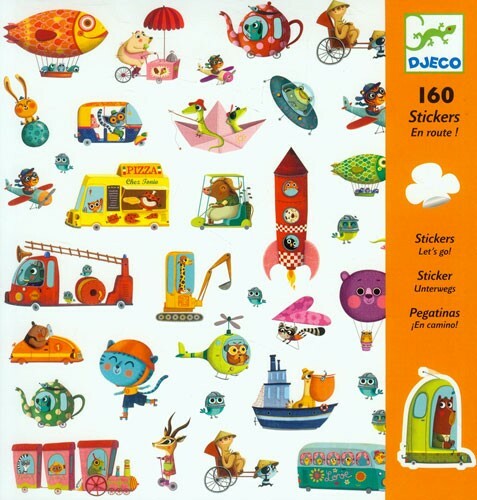 Add colorful fun to your child's sticker collection with these beautiful travel-themed stickers from Djeco. 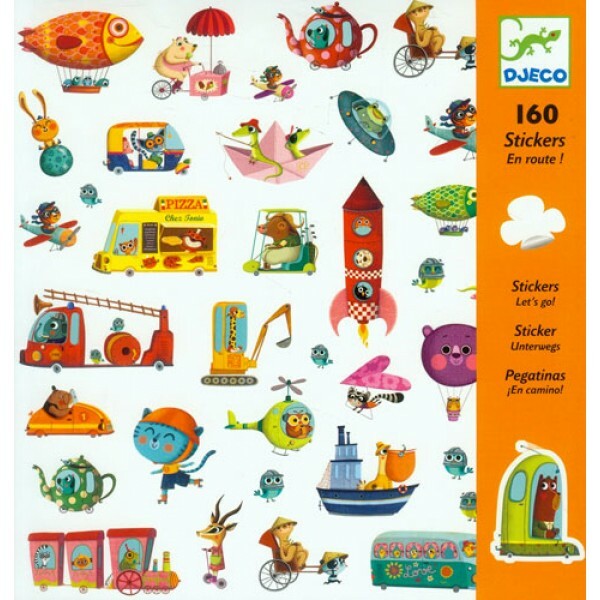 This set of 160 acid-free, archival quality stickers includes a variety of moving machines, from rockets to construction equipment to hot air balloons! They're the perfect way to add an additional special touch to her arts and crafts.